Needless to say, these are a must. You’ll need at least one in black, white, and a colour. Most of my oversize hoodies are black, but that’s mainly because of my all-black dress code. There’s no need to be restricted to the women’s zone. Men’s hoodies/sweaters are made from better material anyways! I love shopping in the H&M men’s department. For all ladies who live in cold climate, I highly recommend getting UniQlo Heat Tech leggings. They’re thick, durable, and actually made to keep you warm. As someone who gets cold easily, the Heat Tech line has been saving my life this winter. Anyways, you’ll need several pairs of leggings to throw on with the oversize top of the day. 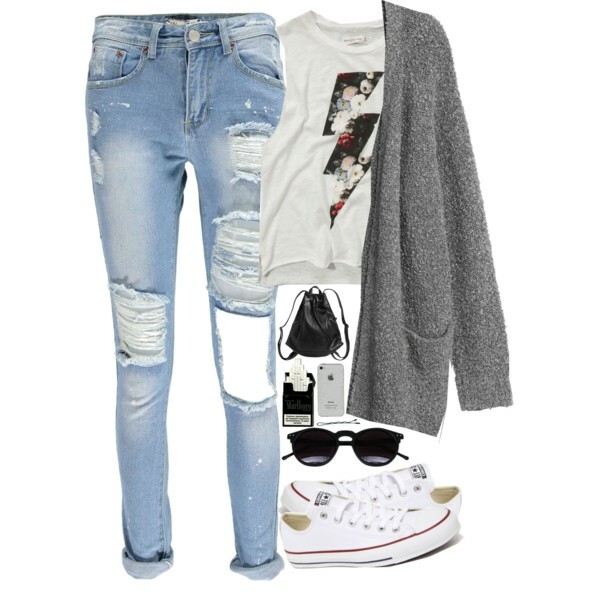 I like wearing blue ripped jeans with black or white oversize tops. I’d rather not be in all-black when I’m not at work. Just one pair of sufficiently these jeans would do. Although I love tattered jeans, they’re not the most wearable. A lot of places will charge extra for jeans that are ripped. If you’re confident enough, you can try your hand at ripping a pair of old jeans! 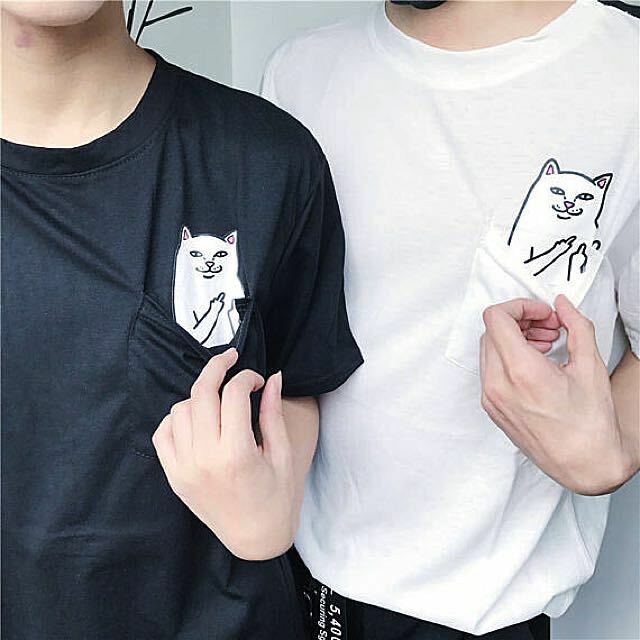 My favorite t-shirt is the middle finger cat. If I could sum up my aesthetic with two things, it would be cats and middle fingers. Sassy t-shirts are a great way to make a casual statement outfit. Make sure the material is at least decent. A thin and pilling t-shirt would just cheapen your whole look. Once these shirts get too worn, they can be used for pajamas or made into throw pillows. A warm black cardigan is a must-have for any wardrobe! Wearing it with a sassy t-shirt and ripped jeans makes a fun and easy outfit. I will mention again to be conscientious of the material. Even a thick cardigan would do nothing to keep you warm if the material isn’t good. Yay, the one thing on this list that can be classified as somewhat dressy! I recommend a white blouse that can go with either leggings or ripped jeans. This is what I’d wear to a bar or a casual dinner. Of course, you can dress it up with slim fit trousers….but who would want to dress proper when they don’t have to? Last but not least, shoes! I used to live in high heels, but lately, I’ve been wearing only flat shoes. These two pairs of casual shoes can be worn interchangeably depending on your mood.